Will your child enter college soon? However much you have managed to save, it may fall short of the very high cost of today's higher education. Financial aid—in the form of grants, loans, or work-study programs—could help make up the difference, but your child will have to apply for this needs-based aid, and that means completing the Free Application for Federal Student Aid, or FAFSA. Even if you don't think you'll qualify for financial aid, there's no harm in trying, and you may be surprised by the results. Even students from the wealthiest families are eligible for work-study programs. And some colleges offer generous aid packages to families with relatively high incomes. So filling out the FAFSA almost always makes sense. The FAFSA form can be daunting. It has 130 questions about your family's assets and income. You'll have to enter information about the size of your household, your family income, the number of students in college, and most of your assets, though retirement savings are excluded. Your answers are used to determine your "expected family contribution," or EFC. That's the amount you'll be expected to contribute to your student's college education for one year. 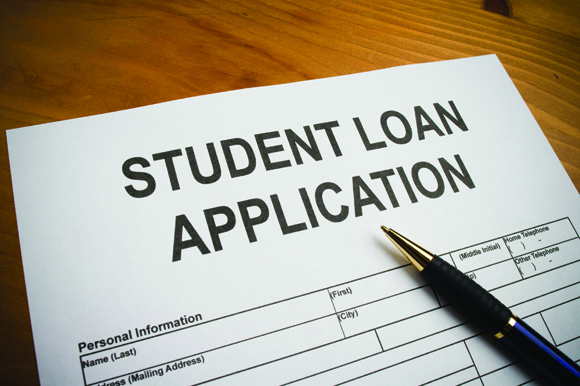 The lower the EFC, the more financial aid you may be entitled to receive. The FAFSA is available online at www.fafsa.ed.gov. Due to a recent change, you now can file the FAFSA for the 2018-19 school year as early as October 1, 2017. (Previously, you would have been required to wait until January 1, 2018.) File the form as early as possible because financial aid often is awarded on a first-come, first-served basis. Under another recent change, the base year for the 2018-2019 school year is the 2016 tax year. (It would have been 2017 before.) And it's the base year—not the year your child will be entering school—that really matters. If you still have a few years before your child heads off to college, you may be able to take steps to minimize your income in the base year that's used for FAFSA calculations. Again, the base year is the tax year that ends more than a year and a half before your child starts school. So, if your son or daughter begins classes in the fall of 2019, 2017 is the base year to focus on. For 2020, it's 2018, and so on. 1. Transfer income-producing assets to your child. This can help because your income counts against financial aid more than your child's does. And at least some of the future earnings on those assets will be taxed at your child's lower rate. 2. Sell off stock losers. If you unload losing positions, you can use those losses to offset any capital gains plus up to $3,000 of ordinary income. That could limit your income in the base year. 3. Hold onto stock winners. Not selling assets at a profit, meanwhile, could also minimize your income. In both cases, though, you need to consider the investment prospects of the assets as well as the potential tax implications. 4. Contribute more to your 401(k). The money you have in your employer-sponsored retirement plans and IRAs doesn't count against you in the FAFSA calculations. Increasing your contribution can help reduce your AGI while at the same time you save more for retirement. 5. Postpone year-end bonuses. If you're in line for a large bonus at the end of the base year, see whether you can arrange to receive the payment in January rather than December. 6. Launch a new business venture. Most new companies show a loss in the first year of operation. That could help offset your income from other sources. 7. Borrow against your home. Loans don't count as income. If you need cash, you might tap into home equity rather than selling off securities and raising your AGI. Be aware that some schools also require the CSS Profile for financial aid. This form requires more information than the FAFSA. You'll need to file a FAFSA for every year that your child is in college. But the optimal approach is to maximize benefits in the first year and go from there. Your financial advisers can help.